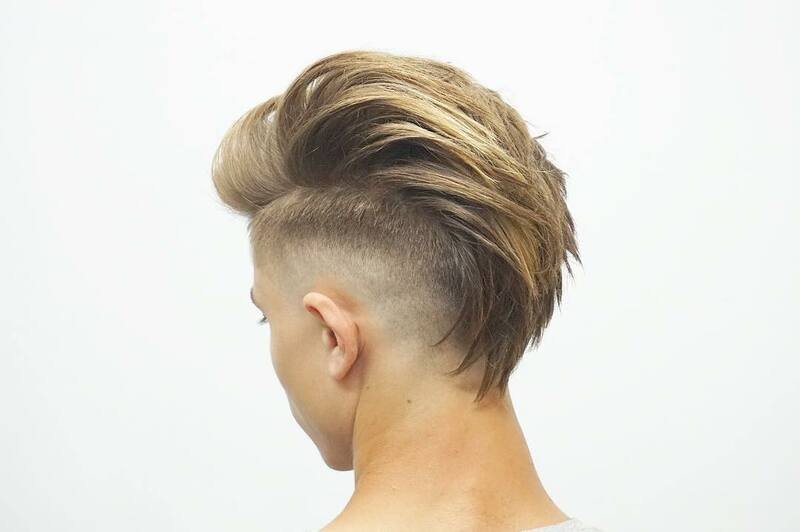 The undercut fade takes adds a blurry fade to that classic undercut silhouette. 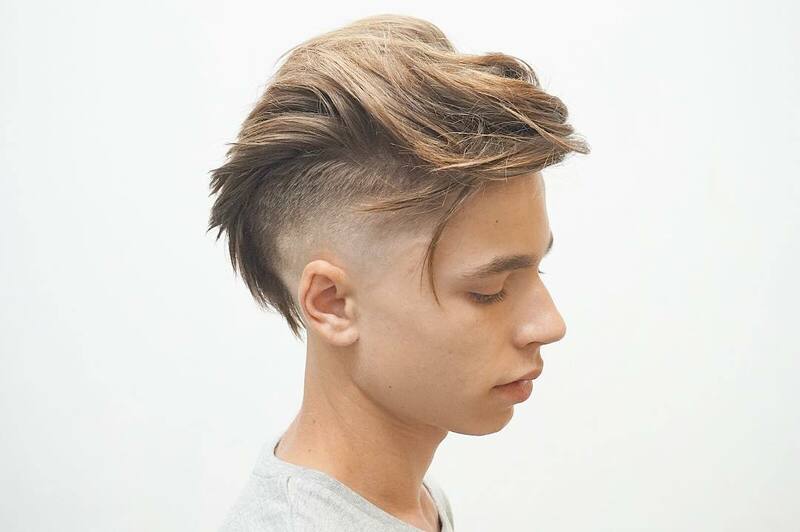 The undercut, aka disconnect hairstyle, shaves hair down to one length from a line extending back from the temple. Hair on top is left medium to long. 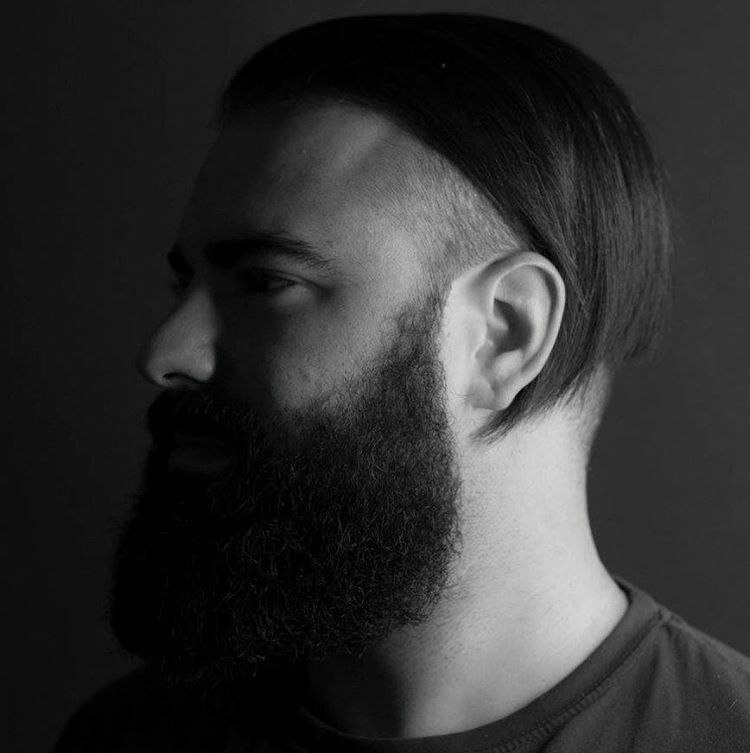 These medium length cuts can be slicked back, worked up into a pompadour or even create the illusion of a mohawk. 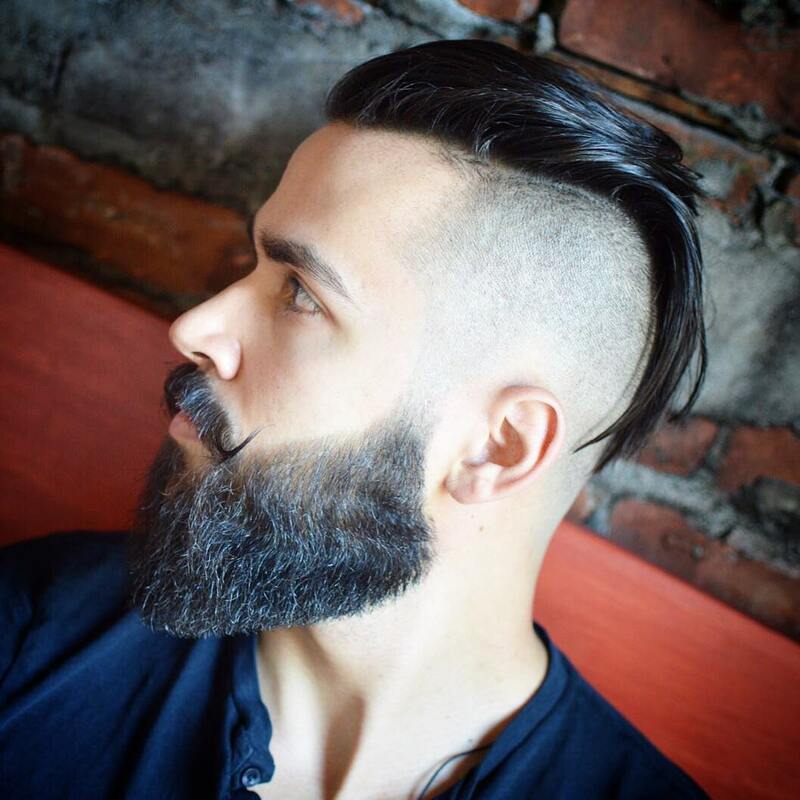 The undercut fade is very similar to a high fade haircut and could also be called that. Always bring a picture to show your barber to avoid confusion. 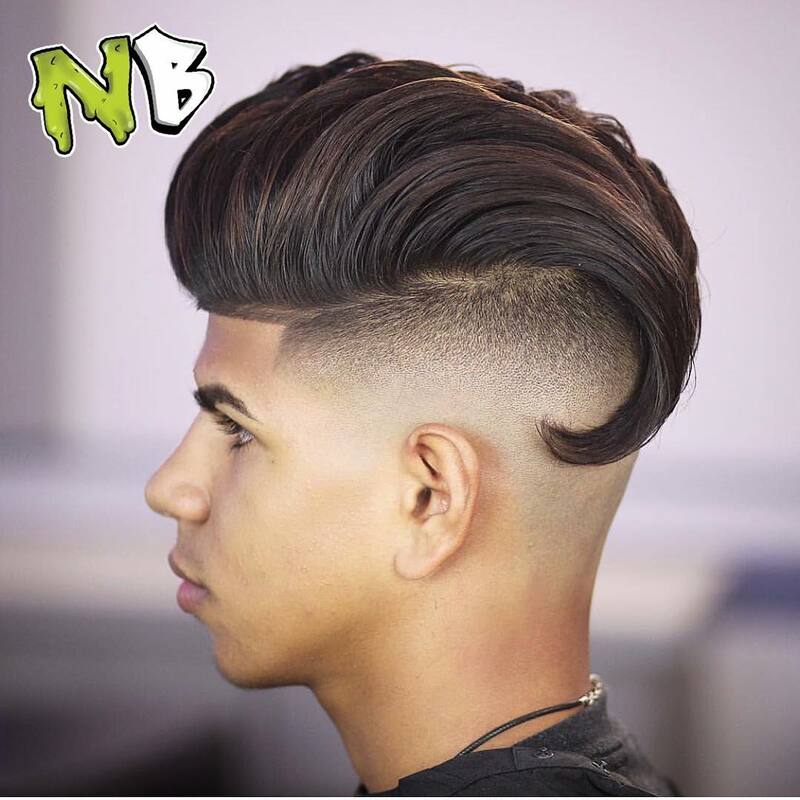 Check out these 9 cool ways to wear this cool type of haircut. 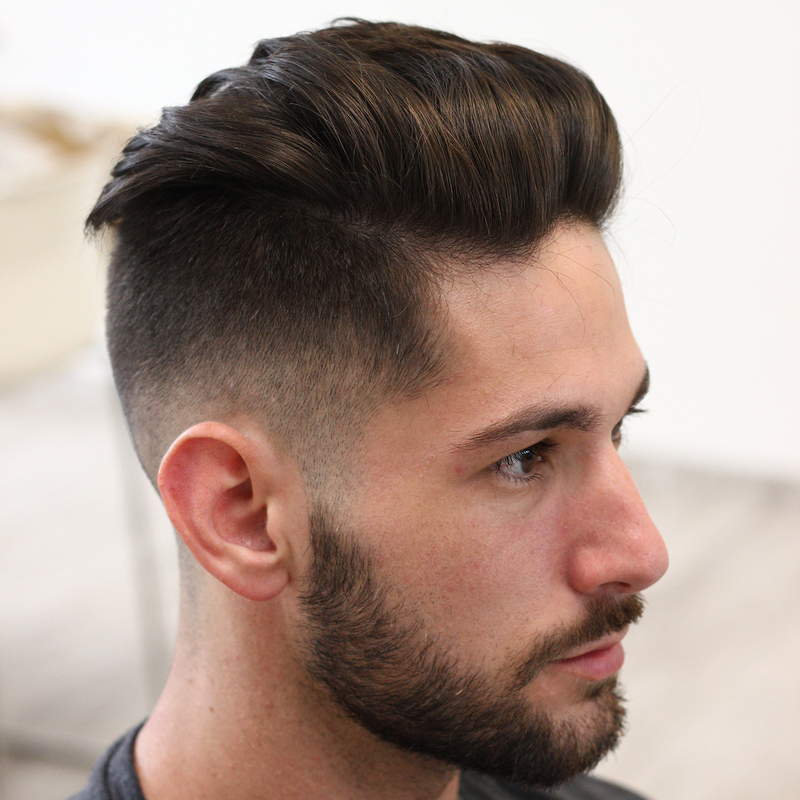 This fresh look contrasts a boxy line up with a pompadour that ends in a curl and and blurry fade. 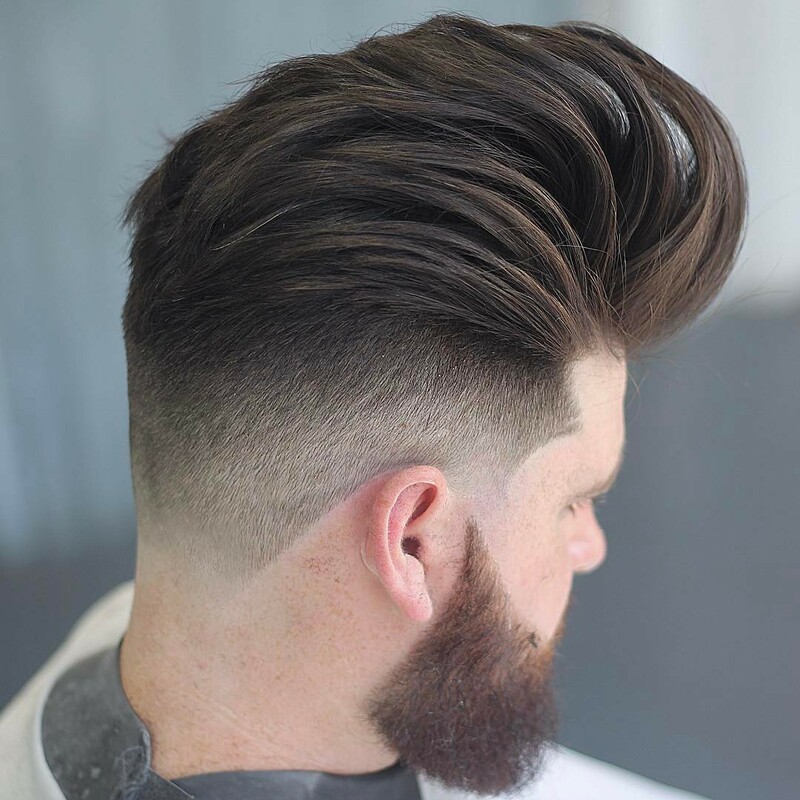 This high volume and textured pomp blends seamlessly into the undercut fade. A very subtle fade effect creates a dramatic contrast between pale skin and dark hair. 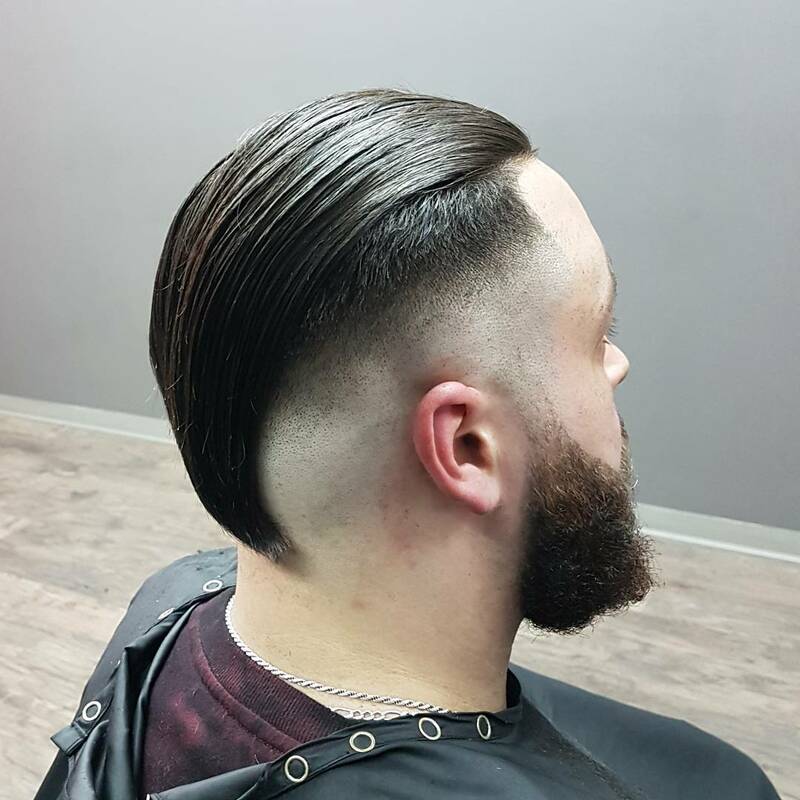 The slick back is a commonly worn with an undercut, whether it worn shiny or matte. The combination looks as good, maybe better, with a fade. Styling hair all the back creates the look of mohawk with the commitment of a haircut. The bald burst fade works perfectly with the lines of this unexpected hairstyle. A super cool hairstyle for long hair. The long hair with a fade haircut also looks good worn loose. Push hair over to one side and tuck it behind the ear. 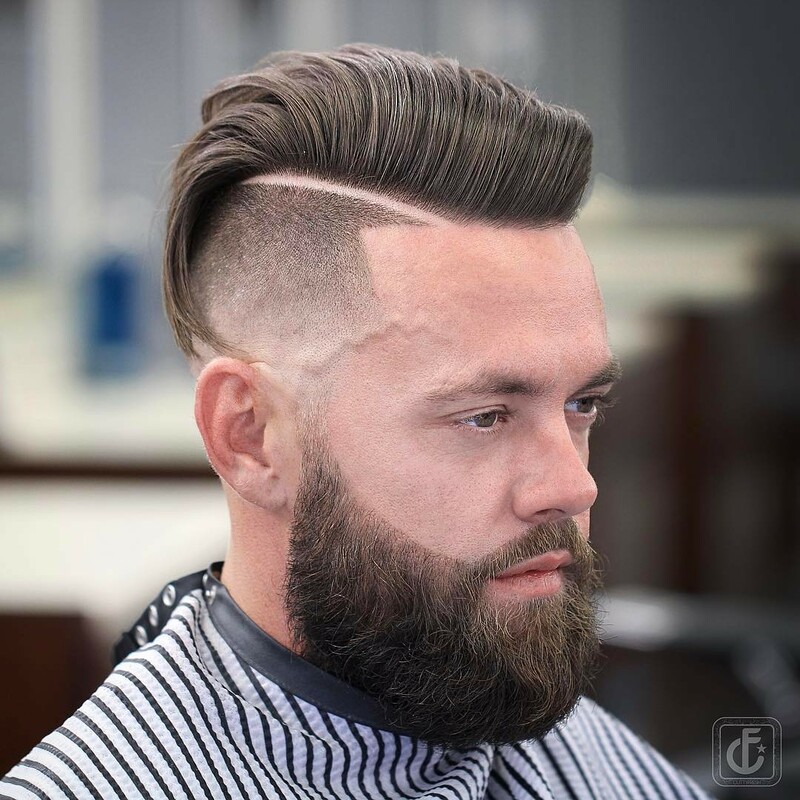 A shaved part and thick beard emphasize this skin fade. Hair is slicked over to one side with some loose curls at the back. So there you have it eight amazing undercut fade haircuts to try out.